President Muhammadu Buhari on Monday received updates from the Minister of Budget and National Planning, Udo Udoma; the Minister of Finance, Kemi Adeosun; and Governor of the Central Bank of Nigeria (CBN), Godwin Emefiele. The ministers and CBN Governor briefed the President on the improving state of the economy, implementation of the 2017 Budget, preparation for the 2018 Budget, revenue strategies, combined cost reduction and debt management. Also discussed at the meeting, which lasted for almost two hours in Abuja, include monetary policy strategies and their impact on the economy among other issues. The statement added that President Buhari “expressed gladness that things were looking up after two years of yeoman’s job”. He reminded the ministers and CBN Governor that reviving the economy was one of the major planks on which the campaign of his party, the All Progressives Congress (APC), was based. 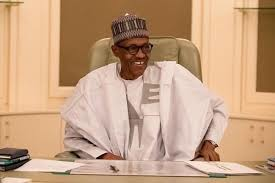 The President urged them not to relent in their efforts, noting that the main aim of government was to bring succour to Nigerians across all walks of life.